Obituary for Jo Beth McDonald | Marcus D. Brown Funeral Home, Inc.
Mrs. Jo Beth McDonald was born in Anderson, SC on March 26, 1927 to William and Lavenia Robinson Brownlee. Mrs. McDonald departed this life on September 12, 2018 at National Healthcare (NHC). 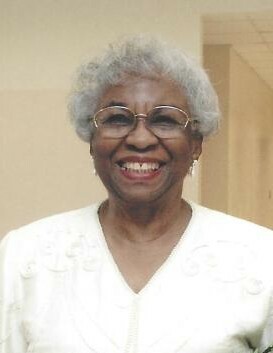 She attended the old South Fant Elementary School and graduated from the old Reed Street High School in May of 1946. On July 29, 1946, she married Wilson Arthur McDonald, who preceded her in death on December 9, 1974. After she got married they moved to Westchester County in New York. While living in New York, she attended the Manhattan Bible Institute for four years. She worked for AT&T for twenty years. After the AT&T facility closed, Mrs. McDonald moved to King of Prussia in Pennsylvania, where she worked until she retired on January 13, 1989. After retiring, she returned home on August 1, 1989. Mrs. McDonald was passionate about her ministry. She volunteered and helped Anderson County in many capacities: Hospice of the Upstate for 10 years, Anderson County Illiteracy, Senior Solutions, Debra's House for homeless women, and ministered to the women in jail. She was also a faithful member of Covenant Baptist Church. She leaves to cherish her memory, a loving daughter in Christ, Harriett Johnson and a loving nephew, James Brownlee. She also leaves other relatives, church members, and dear friends to cherish her wonderful memories. She was preceded in death by her husband, parents, and other relatives. The funeral service will be held at 12:00 p.m. on Wednesday, September 19, 2018 in the Ollie Robinson Brown Memorial Chapel of Marcus D. Brown Funeral Home. The interment will follow at New Silverbrook Cemetery. In lieu of flowers, contributions may be made to: Caris Healthcare Hospice, 129 Straight Drive Anderson, SC 29625, www.carishealthcare.com , (864)225-3139. The family is at the home of her daughter, Harriett Johnson, 203 Misty Lane Belton, SC 29627.